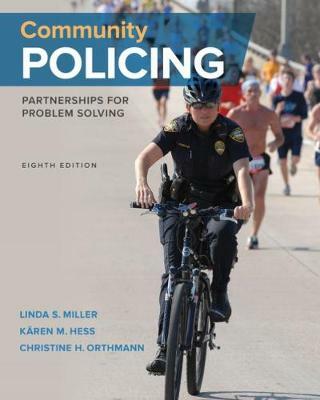 With a strong focus on problem solving and community-police partnerships, this comprehensive text provides a practical, up-to-date guide to effective community policing. After an introduction to the history and philosophy of the movement that has profoundly shaped modern police operations, the authors emphasize practical strategies and essential skills to help readers apply effective, real-world problem solving within their communities. In light of recent high-profile deadly force incidents that have strained the relationships between the community and the police, the eighth edition taps into the recommendations in the Final Report of the President's Task Force on 21st Century Policing and its call for a renewed emphasis on community policing to strengthen public trust and build police legitimacy. And the MindTap that accompanies this text helps you master techniques and key concepts while engaging you with career-based decision-making scenarios, visual summaries, and more.